This unique Match Day Goalkeeper Shirt has been designed in collaboration with Exmouth Town and features the club badge on the left chest and padded elbows. The shirt is fully sublimated, meaning you do not need to worry about printed logos peeling or fading. The font for the number is the Premier League Font. The shirt price is the final price you pay and includes up to 2 sponsors (1 on the front and 1 can be added on the back) as well as the numbers. Please contact info@swaz.co.uk for more information when ordering a full team strip or an additional kit for a particular age group. Prices include VAT where applicable. 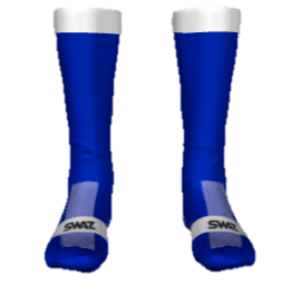 SWAZ are happy to issue receipts for sponsors use if needed. 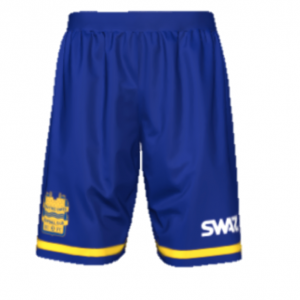 These unique Match Day Goalkeeper Shorts have been designed in collaboration with Exmouth Town and features the club badge on the right Leg. The shorts are fully sublimated, meaning you do not need to worry about printed logos peeling or fading. The shorts price is the final price you pay and includes space on the back of the shorts for a sponsor. These unique Match Day Goalkeeper Socks has been designed in collaboration with Exmouth Town. 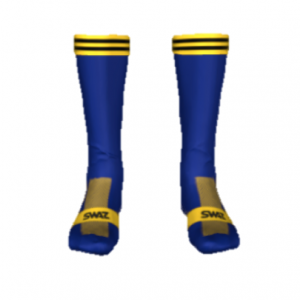 SWAZ Socks are made in the U.K. 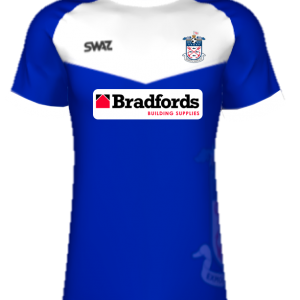 This unique Match Day Shirt has been designed in collaboration with Exmouth Town and features the club badge on the left chest and a Ghosted version on the left side of the body. The shirt is fully sublimated, meaning you do not need to worry about printed logos peeling or fading. The font for the number is the Premier League Font. 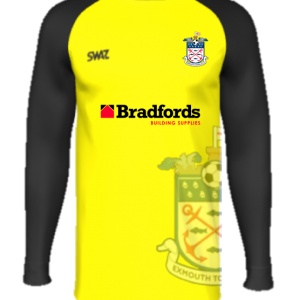 The Exmouth Town Match Day Home Shirt has been designed in Plymouth, England and is made in the U.K. These unique Match Day Shorts have been designed in collaboration with Exmouth Town and features the club badge on the right Leg. The shorts are fully sublimated, meaning you do not need to worry about printed logos peeling or fading. 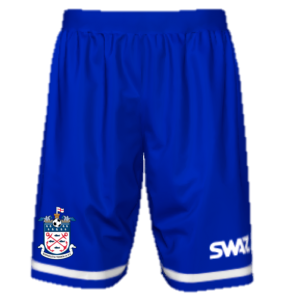 The SWAZ Exmouth Town Match Day Home Shorts have been designed in Plymouth, England and are made in the U.K. These unique Match Day Socks has been designed in collaboration with Exmouth Town and features the club initials on the back of the socks. 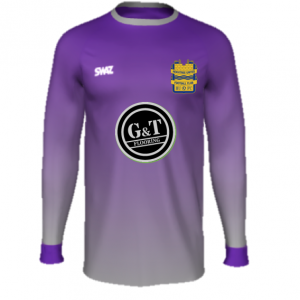 This unique Match Day Goalkeeper Shirt has been designed in collaboration with Heavitree United and features the club badge on the left chest and padded elbows. The shirt is fully sublimated, meaning you do not need to worry about printed logos peeling or fading. The font for the number is the Premier League Font. These unique Match Day Goalkeeper Shorts have been designed in collaboration with Heavitree United and features the club badge on the right Leg. The shorts are fully sublimated, meaning you do not need to worry about printed logos peeling or fading. These unique Match Day Goalkeeper Socks has been designed in collaboration with Heavitree United. 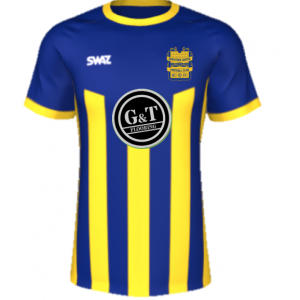 This unique Match Day Shirt has been designed in collaboration with Heavitree United and features the club badge on the left chest and a Ghosted version on the left side of the body. The shirt is fully sublimated, meaning you do not need to worry about printed logos peeling or fading. The font for the number is the Premier League Font. The Heavitree United Match Day Home Shirt has been designed in Plymouth, England and is made in the U.K. These unique Match Day Shorts have been designed in collaboration with Heavitree United and features the club badge on the right Leg. The shorts are fully sublimated, meaning you do not need to worry about printed logos peeling or fading. The SWAZ Heavitree United Match Day Home Shorts have been designed in Plymouth, England and are made in the U.K. These unique Match Day Socks has been designed in collaboration with Heavitree United and features the club initials on the back of the socks.